The Vision Official Character Poster For Avengers Age Of Ultron! Check it out! 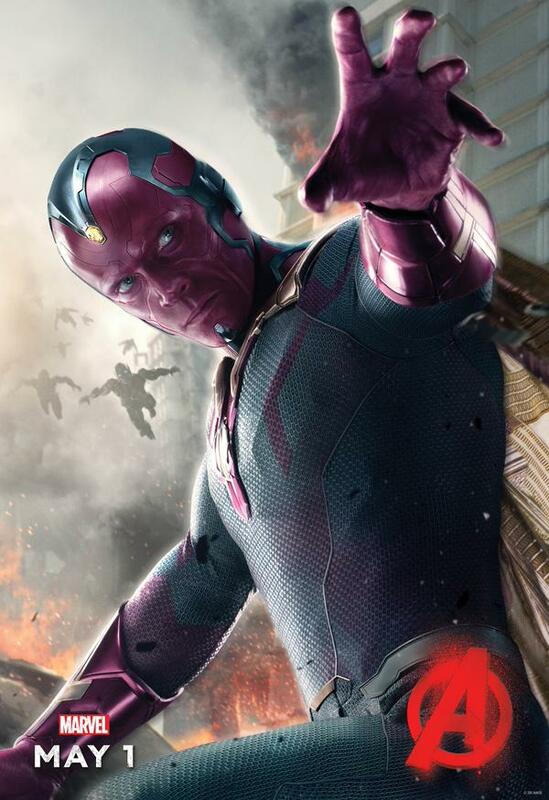 Marvel have released a brand new character poster for Avengers Age of Ultron featuring The Vision! Played by Paul Bettany, who also voiced J.A.R.V.I.S in four films, now portrays the mysterious Vision in this brand new poster! As anticipation builds for the release of Avengers Age of Ultron its great to finally get a look at the Vision in this great poster. 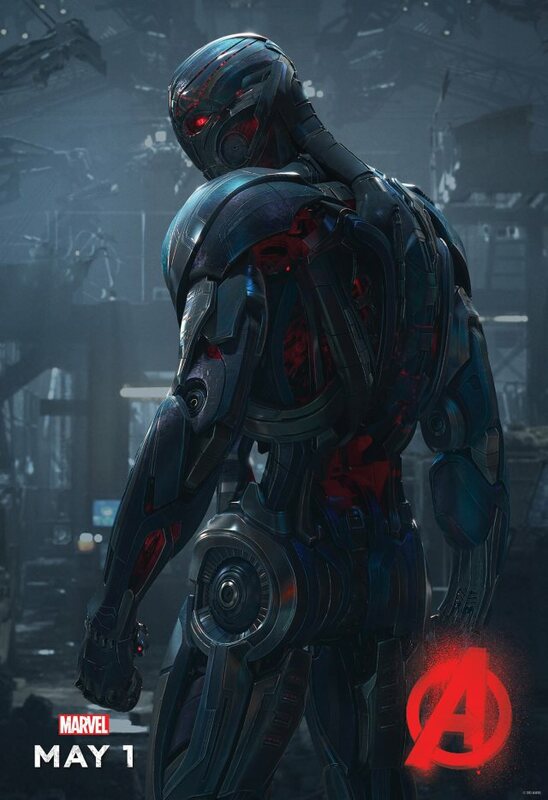 Check out the Ultron Poster Released For Marvel’s Avengers Age of Ultron! The Poster is the latest in the series of character one-sheets for the film. Ultron looks magnificent! Marvel’s New Avengers Age of Ultron Trailer! 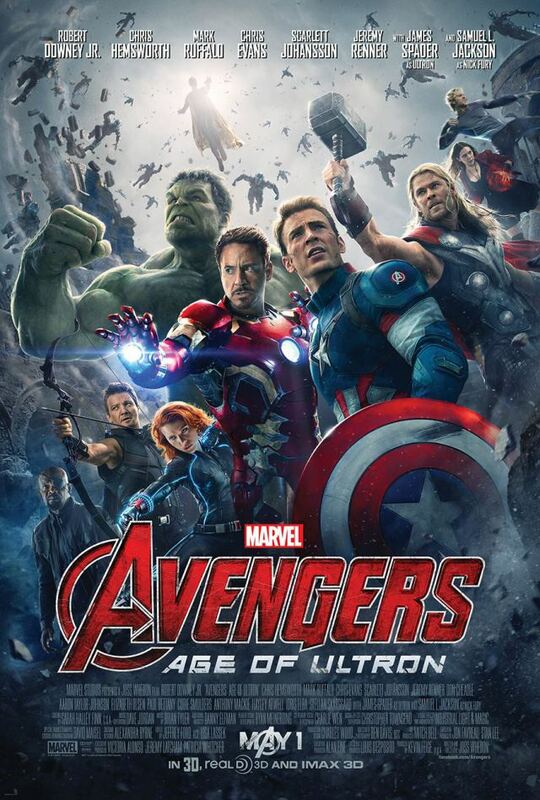 Check the awesome new trailer for Marvel’s: Avengers Age of Ultron! 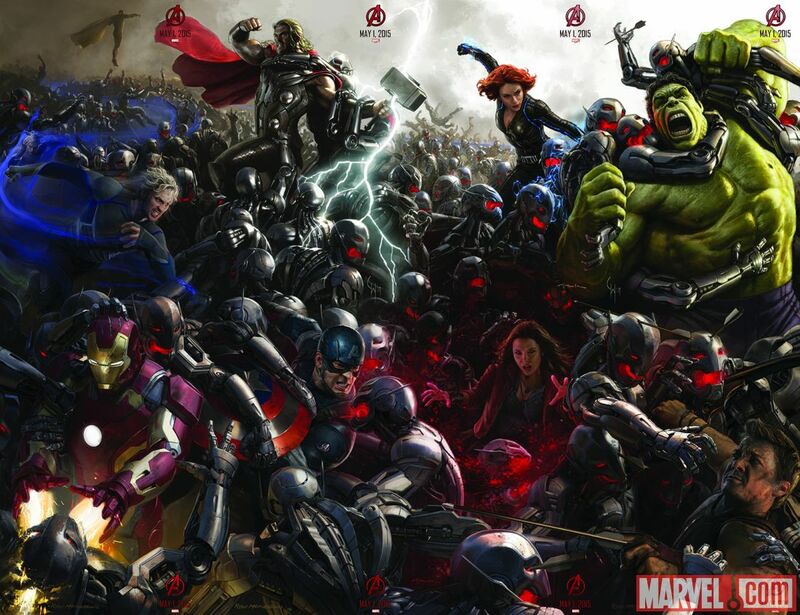 Check Out Marvel’s New Official Avengers Age of Ultron Poster! 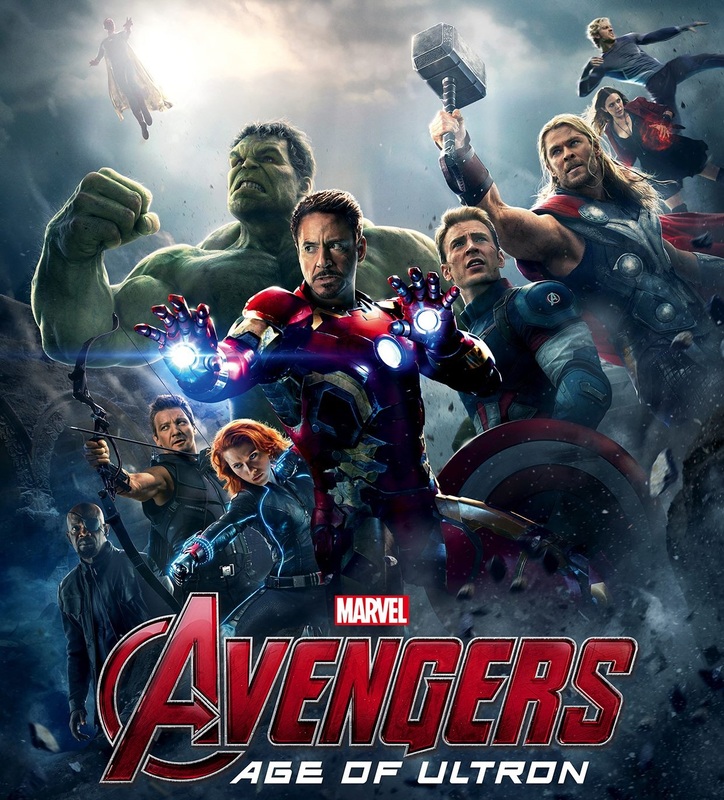 Marvel Studios has unveiled the official poster for Joss Whedon’s ‘Avengers: Age of Ultron.’ It features the Earth’s Mightiest Heroes, together with the Scarlet Witch and Quicksilver, with the Vision obscured by sunlight overhead as Ultron’s lethal robots swarm down from the sky. Eagle eyed fans have noticed that as well as the main cast members, the posters credits also feature the names of other actors: including Anthony Mackie (The Falcon), Hayley Atwell (Peggy Carter), Cobie Smulders (Maria Hill), Idris Elba (Heimdall), and Stellan Skarsgard (Erik Selvig). The credits also reveals that the composer Danny Elfman has contributed “additional music” to Brian Tyler’s score. 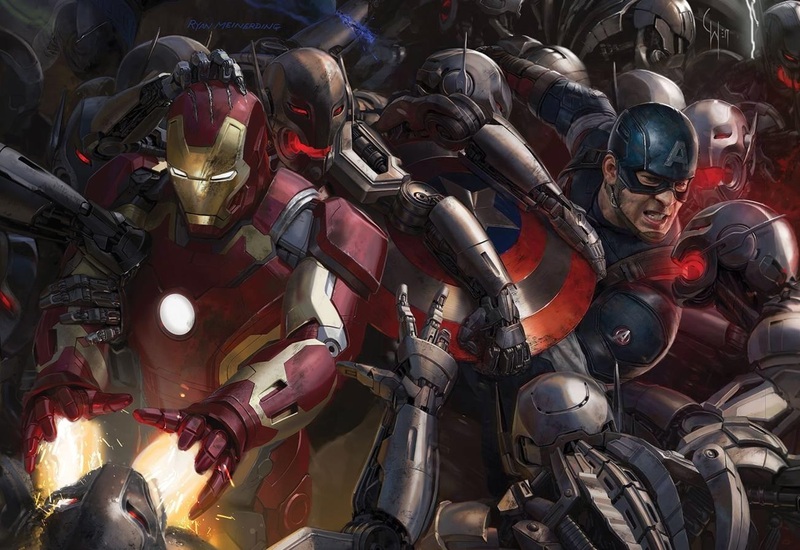 Check out the awesome new Avengers Age of Ultron Trailer! 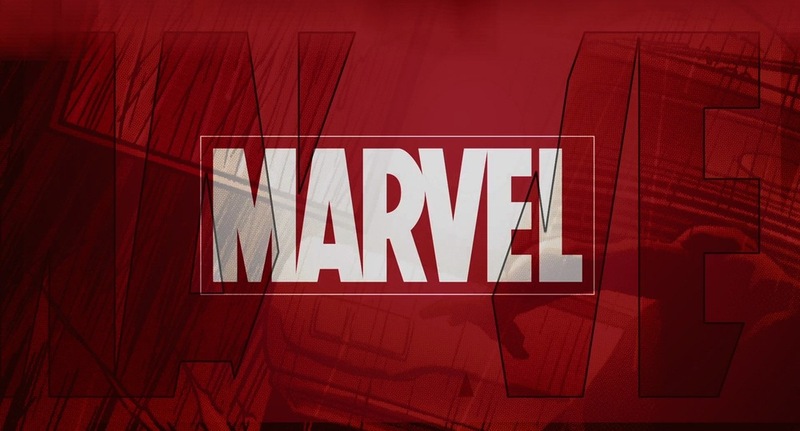 Marvel certainly know how to make an impact, with the announcement on Tuesday of Chadwick Boseman’s casting as the Black Panther and the new films that will feature in Marvel’s Phase 3. 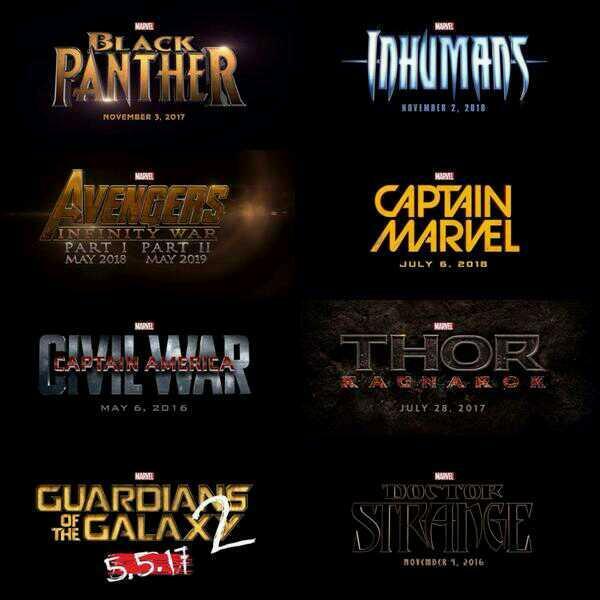 The list of films and their release dates are: Captain America: Civil War (May 6, 2016), Doctor Strange (Nov4, 2016), Guardians of the Galaxy 2 (May 5,2017), Thor: Ragnarok (July 28, 2017), Black Panther (Nov 3, 2017), Avengers: Infinity Wars Part 1 (May 4,2018), Captain Marvel (July 6, 2018), Inhumans (Nov 2, 2018), Avengers: Infinity War Part 2 (May3, 2019). Along with all that awesome news, during the new episode of Agents of SHIELD on ABC, Marvel also released an exclusive scene from Avengers Age Of Ultron! Check out the Special Look at Marvel’s Avengers Age of Ultron 1st Clip as the Avengers try to prove their worth! The adventures of the original X-Men continue to be as enthralling as ever in All New X-Men #8 when the young Warren Worthington III finally encounters his future self. He takes to the sky with this metal winged Angel of the future, trying to keep up with his present day counterpart, but their flight is cut short when they notice Avengers Tower being attack by Hydra. 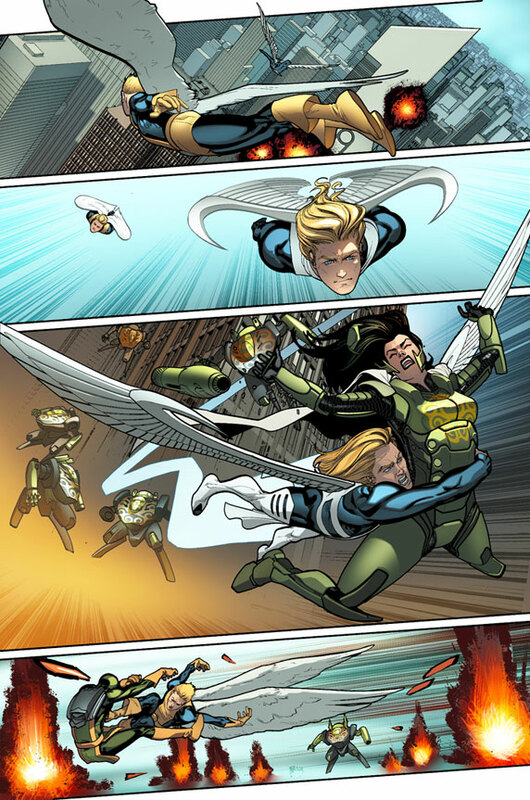 The winged Mutants swoop from the sky to defend Avengers Tower, keeping Hydra’s forces at bay with their combined speed and agility, before the Avengers arrive to lend a hand. 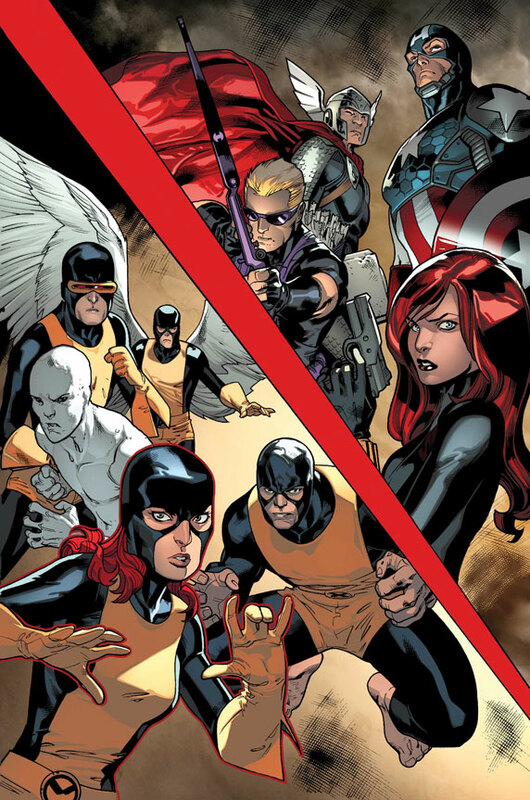 When the Avengers find themselves confronted with the bizarre sight of two Angels, they return with the Mutants to the Jean Grey School of Higher Learning where the Beast does his best to explain to Captain America why the original X-Men are currently residing in the present – even though their presence could be potentially jeopardising to the space time continuum. Before the Beast can finish explaining, the Avengers are left dumfounded when the young Scott Summers intervenes and assures Captain America that he intends to make up for everything his future self has done. All New X-Men #8 is another amazing issue in Brian Michael Bendis’ time warping saga of the Original X-Men’s exploits in the present day. It’s been a long time coming, but this issue Bendis finally throws the spotlight on Angel, who has had the most difficult time coping with his visit to the future. 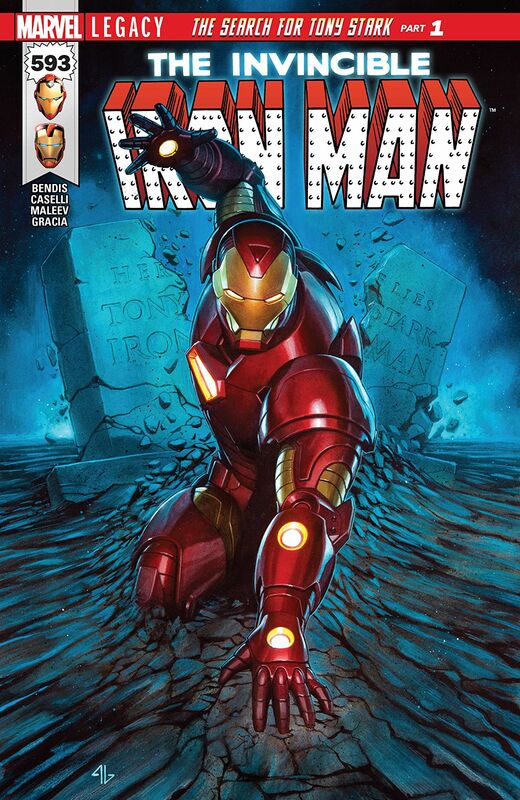 The way he interacts with his future counterpart is skilfully handled by Bendis, who shows that Angel is just as agile as his future self, and more than capable of handling himself in the fight with Hydra. The scenes where the two Angels are flying together are beautifully realized by David Marquez, his art captures the glorious freedom that comes with the power of flight, and leaves us giddy with excitement as they swoop in to attack Hydra’s forces. Here the differences between the two Angels becomes even more apparent, with the youthful Warren proving to equally as adept in combat as his metal winged self. Their fighting styles stand in marked contrast to each other, yet together they make a formidable team, and it’s great to see the bemused look on the Avengers faces when they realize they are looking at two Angels from different time zones. The young Scott Summers also makes a scene stealing entrance when he interrupts Captain America and the Beast, quickly defusing the tension in his own inimitable way, utilizing his natural leaderships skills in a way that gives both teams cause to sit up and take notice – even Wolverine seems impressed. One of my favourite moments is where Beast is trying to explain what’s happened to Captain America, while just out of earshot, Iceman and Kitty Pryde hilariously mimic the seriousness of their conversation. Iceman’s take on what Captain America might be saying is absolutely hilarious, and as for Kitty’s “blah blah, blah” rendition of Hank McCoy’s incomprehensible techno babble, well, that is simply priceless. It’s writing like this by Brian Michael Bendis that makes All New X-Men so endearing and special. However, it’s not all played for laughs. The scene were Warren decides to return to his own time is one of the pivotal moments in All New X-Men #8. His angry outburst leaves his team mates reeling when he states that his future would be safer if he had nothing to do with them anymore. It’s a great character moment for Angel. Right from the outset, The Original X-Men have failed to acknowledge any of Warren’s concerns about their trip to the future, it was clear he was having a hard time coping, so it was inevitable something like this was going to happen sooner or later. What is really astounding about this issue is the way Jean Grey uses telepathy to alter Warren’s thoughts to make him stay. This blatant abuse of Jean’s newfound powers is quite shocking, and it offers a wealth of possibilities for Brian Michael Bendis to explore in the issue ahead. With its engaging plot and superb characterization, All New X-Men #8 is another thrilling issue by Bendis and Marquez, and remains one of the best X-Titles around at the moment.